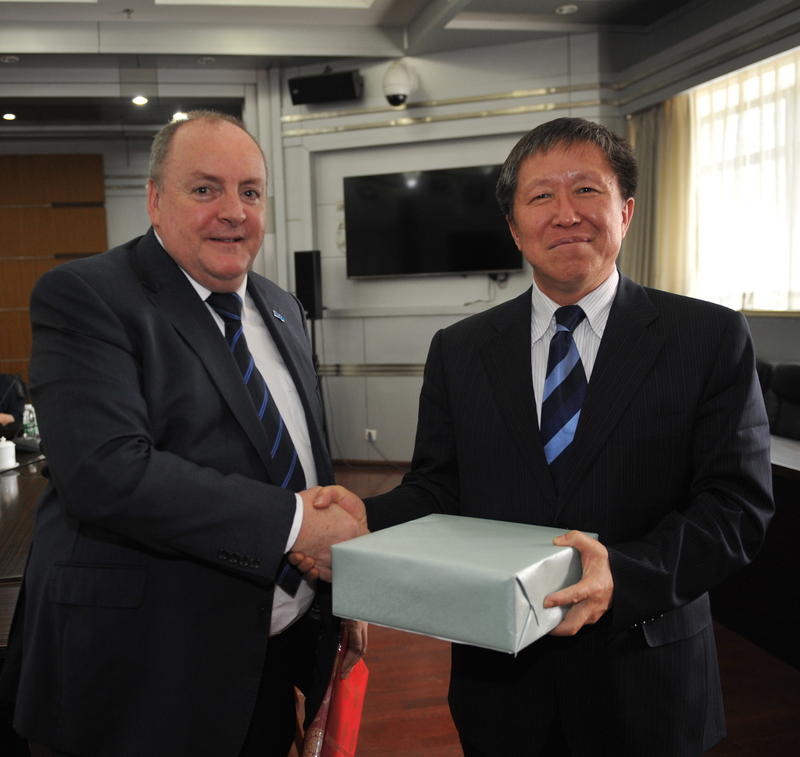 On 21st May 2014, Prof. Philip Diamond met with Dr. Cao Jianlin, China Vice-Minister for Science and Technology at the Ministry for Science and Technology in Beijing. The meeting took place as part of the visit of SKA staff to Beijing for discussions with the Chinese Ministry of Science and Technology and a meeting of the project’s Strategy and Business Development Committee. During the cordial and productive meeting, the Minister and Prof. Diamond discussed strengthening links between the SKA Organisation, Chinese industry and the Chinese radio astronomy community and the potential socio-economic impact of China’s involvement in the SKA project. At the end of the meeting, Prof. Diamond and Minister Cao exchanged gifts. Minister Cao was presented with a painting by Annie Walsh, a renowned aboriginal artist who took inspiration from the Australian SKA Site in the Murchison region of Australia. The painting, done using the traditional dot-painting technique, depicts the Seven Sisters, an aboriginal representation of the Pleiades constellation. Prof. Diamond was offered a traditional hand-carved calligraphy set made from redwood, engraved with a quote from famous politician and military commander Zhuge Liang of the Three Kingdoms period.